The Relative Strength Indicator (RSI) is a momentum oscillator that is most useful for stocks trading within a range. The RSI line chart appears as a separate pane, and it can range from 0 at the bottom to 100 at the top. 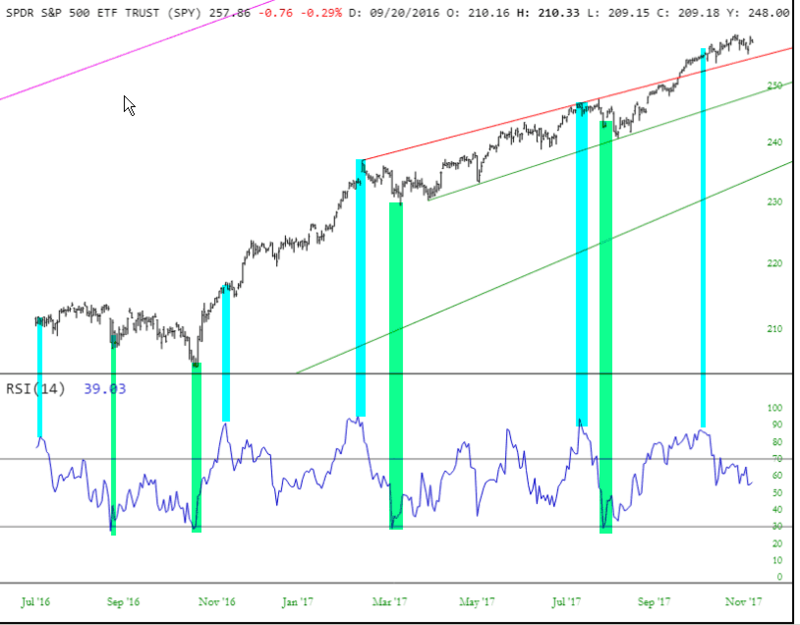 There are two horizontal lines which appear in this chart at the 30 and 70 values, since crossing below 30 is considered “oversold” and crossing 70 is considered “overbought”. Here is an example chart showing various overbought and oversold points. By no means does the RSI reaching 30 or 70 mean the stock is going to suddenly reverse in the opposite direction. A financial instrument can have an ‘overbought” RSI for weeks, months, or even years and still keep grinding higher. However, awareness of the RSI’s relative position can be helpful in understanding, on the whole, the relative position of a financial instrument’s price to its historical behavior. 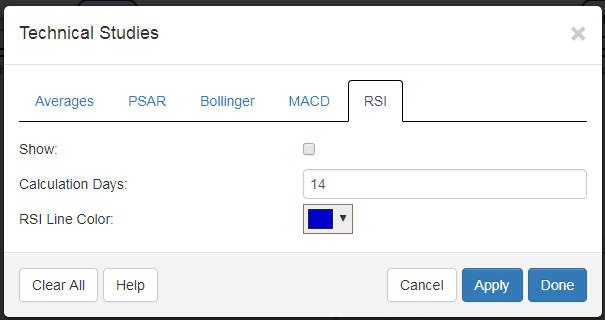 The dialog box for RSI allows you to adjust the days used to calculate the moving average as well as the color for the line chart. Below is a good example of an instance when RSI was very useful. 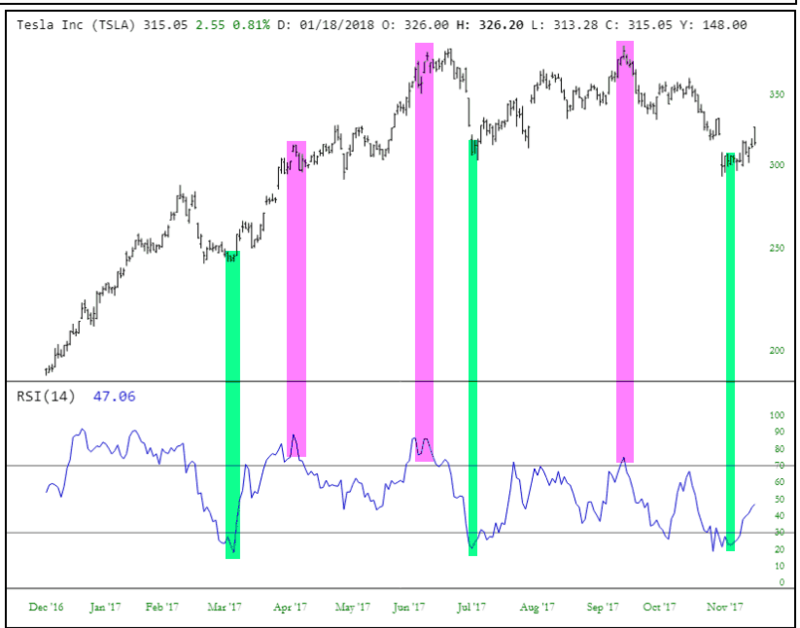 The stock, Tesla, was moving in broad cycles that lasted several weeks at a time. The “oversold” zones are tinted in magenta and the “overbought” zones in green (these tints do not appear in SlopeCharts; they are simply added here for clarity).